Djerba Plaza Hotel & Spa | Djerba: Info, Maps, Photos, Hotels, Attractions, Restaurants, Excursions, Walks at sea, Quad ..
Menzels Djerbiens the peaceful, is an ideal place for a quiet and romantic. The light creates a magical atmosphere. The rooms are built around a patio with palm trees and bougainvillea, open. They are spacious, decorated with great care. Bathroom tiled in marble and craftsmanship. Balcony or terrace. Djerba Plaza hosts can choose between suites, rooms with sea view or garden view. Spacious rooms and rooms for families are also available. 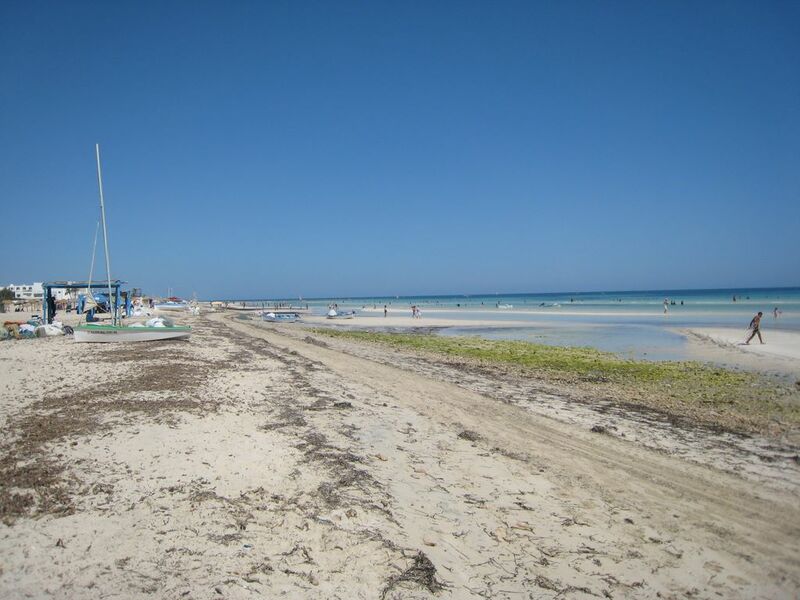 The hotel is located at 25mn from Djerba International Airport, 10mn from Houmt Souk City. In-room facilities include Garden View Rooms, Sea View Rooms, Non-Smoking Rooms, Family Rooms, Senior Suites, Presidential Suite, Large 2000 Freshwater Pool m2, Heated Indoor Pool (Winter), Discotheque (Summer), Mini Club and playground .. The Djerba Plaza offers a gastronomic palette subtle. She invites you to all the temptations of the country flavors, scents and colors ... A sunny kitchen and fragrant combines pleasure and health: World Cuisine, Italian Cuisine, and Tunisian cuisine. Breakfast and dinner buffet with dishes selected from Cuisines of the World in a quiet and informal setting. Lying in the gardens of the hotel overlooking the pool, offers a culinary approach that takes you a few dishes that make the richness of Italian cuisine. The chef serves typical Tunisian cuisine that will take you to the land of the sun. You will discover, thanks to ancient recipes, a subtle blend of spices that scent your dishes and awaken your taste buds with different flavors. Buffet-Grill in the middle of a dense palm grove, with a large selection of salads, desserts and a few daily specials. Cooks burn out fish, shellfish and meat to your liking, among the wide range that is exposed on the buffet. Open from April to October. In a quiet atmosphere Coral Bar offers connoisseurs a wide selection of drinks and cocktails. From October to June live band to liven up your evenings. The bar opens with large windows overlooking the gardens and pool. A warm atmosphere prevails with its mirrors and lacquered wood decors in warm colors. Open from October to January. The Disco Bar opens the Foam from April to October to animate the evenings of the summer. A typical Tunisian Moorish café, fully coated with a craft pottery made by hand gives you the "Chicha" with the traditional tobacco and Tunisian Tea flavored with mint. At Djerba Plaza you can pamper in sports or relaxing activities. Take a walk or a jog through the gardens. Practice your gym and model your figure in the fitness rooms, practice, beat your record sets on clay courts where the sun radiates. Within marrying authentic décor of the country and the comfort of modern times, the Djerba Plaza Thalasso & Spa offers a warm moments to live for self. Seawater is naturally rich in minerals and trace elements, known for the countless blessings all the time, you will relax and be reconciled with your body, making you live intense moments of Relaxation and Wellness ... The team Thalasso & Spa Djerba Plaza has been specially trained to reconcile between the practice of physical care, constantly listening to the desire of our esteemed clients. • 01 playful swimming pool of sea water: marine bio course. • 01 outdoor seawater pool. • 01 Nordic Basin (hot and cold). • 01 relaxation area and herbal tea. • Outdoor solarium overlooking the sea. • Shop certified organic marine products. • 06 Whirlpool baths: chromotherapy. • 06 Floating beds for wrapping.